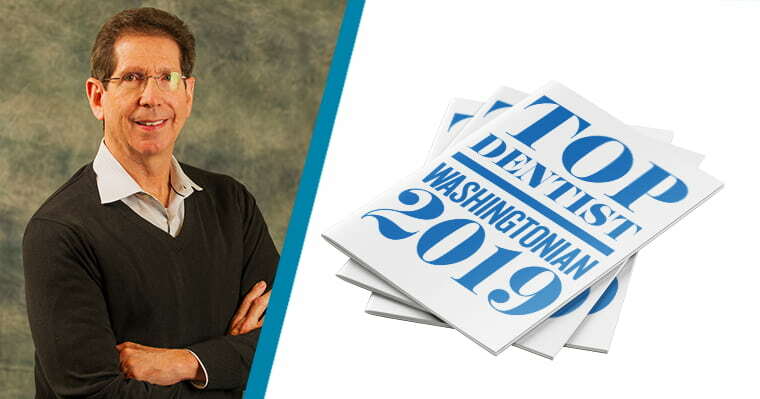 Our Waldorf dentist, Dr. Paul Silberman was once again chosen by his peers as one of DC’s best dentists for the Washingtonian magazine. Dr. Silberman is recognized as a top general dentist based on his experience, continuing education, manners with patients, use of techniques and technology, and of course, beautiful results. But first and foremost, Dr. Silberman wants to acknowledge that this award was a team effort. Being voted top dentist is owed to his team of treatment coordinators, certified dental assistants, and registered dental hygienists. Their support and devotion to his patients and dentistry are what puts Dr. Silberman at the top of the list. And on behalf of the entire team at The Silberman Dental Group, we thank YOU! Without our loyal patients, we would not do what we love every day and create life-changing smiles and dental experiences. 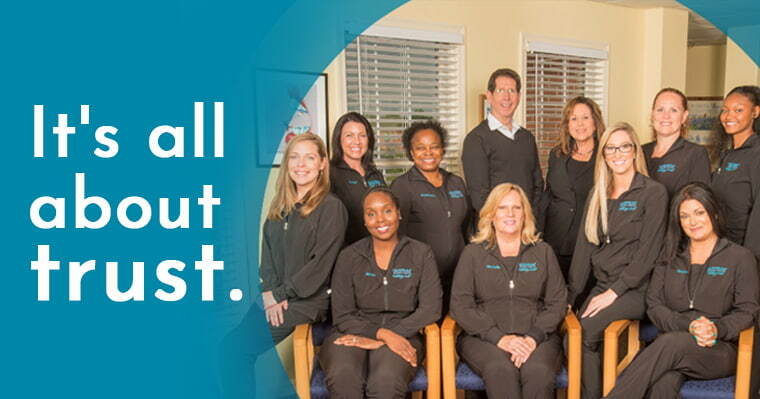 At The Silberman Dental Group, we treat patients like family, and what do you want for your family? But how do you know if you are getting the best? Dr. Silberman and his team focus on one thing only: YOU. Our patient-first mentality allows us to build a relationship with you and earn your trust. Although actions speak louder than words, here are a few words to describe the actions we take to earn your and our peers’ trust. We will always act in the best interest of your health, not our financial bottom line. Ask any of our peers, we will never recommend unnecessary or undesired treatments. And whenever possible, we will inform you of more than one treatment option with pros and cons. That way, you can make a decision that’s right for you, not anyone else. We find some patients avoid the dentist because they are scared, haven’t been in a while, or are embarrassed by their smile. That’s okay! We want you to know that we are here to help you – not judge your past. So tell us your story: What are your smile goals? Did you have a bad dental experience? What can we do to help? Is cost stopping you from getting care? We will give you our undivided attention and listen. Believe it or not, we can and will put any fear of going to the dentist to rest. Now, we understand this a bold statement, but we know we can help you… if you let us. When you are ready, schedule your FREE consultation. You will get to meet Dr. Silberman and our compassionate team, tour our office, share your story, and see if we are the right fit for you. Our family dentist, Dr. Silberman combines 30 years of experience with state-of-the-art technology. This combination ensures us that you are getting the best dental care possible. As new technology and techniques emerge, you can trust that our team will continue to adapt and learn the best. With in-house modern technology, we are able to provide more services under one roof – often eliminating the need for you to visit another dental office. The Silberman Dental Group does not take hiring team members lightly. We take our time sourcing team members to ensure that YOU are in the best hands. We look for team members who are compassionate, honest, gentle, skilled, and professional. Most importantly, we make sure they love what they do, which is helping YOU! We will always do what is right: We think long-term and the big picture, not just “drill and fill.” Our goal is to retain your natural teeth and provide high-quality dental care that is proven to last. We provide first-class service: We are attentive listeners and want to hear your story. The relationship and trust we build will only help us provide you with individualized care – addressing any barriers with compassion, not judgment. We are fun: As we said, our team loves what we do. Our upbeat environment reflects our positive attitude towards “work.” You can trust that you will feel a part of our dental family. You are NEVER rushed: We will never pressure you into making a decision. We will help educate you on what to expect, answer any questions, and put you in charge of your health. Same goes for an appointment, we will always have plenty of time. You can trust that your dental team has been hand selected for YOU because they are the BEST. To our peers who voted for us as a top family dentist in DC and our patients who trust us with their smiles, THANK YOU! The Silberman Dental Group is humbled to be continually recognized for providing the best dental care to Waldorf and its surrounding areas. We look forward to helping more people receive high-quality dental care, overcome their dental fears, and start smiling with confidence again. If you or someone you know is looking for a dentist in Waldorf, MD, then contact us today! We are currently offering FREE consultations and second opinions – no strings attached.